Boyd credited "good police work" for the reason why deputies started pursuing the vehicle. A border patrol agent observed three vehicles traveling one behind the other on FM 2664 and suspected a smuggling attempt was happening, the agency said in a statement. The agent was able to stop one of the vehicle and called out a description of the other two. A second border patrol agent was able to pull over the second vehicle but the third refused to stop. The agency said multiple arrest were made in both vehicles. The passenger, also believed to be a U.S. citizen, is currently in custody. Boyd said there needs to be a wall built because this is a "real problem" in the area. 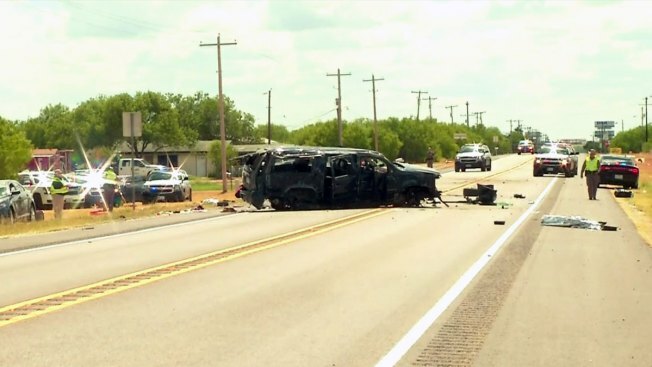 The incident is under investigation by the US Border Patrol, Texas Department of Public Safety, Dimmit County Sheriff’s Office, Homeland Security Investigations, and Customs and Border Protection’s Office of Professional Responsibility, Border Patrol said in a statement.